“Play To Grow! 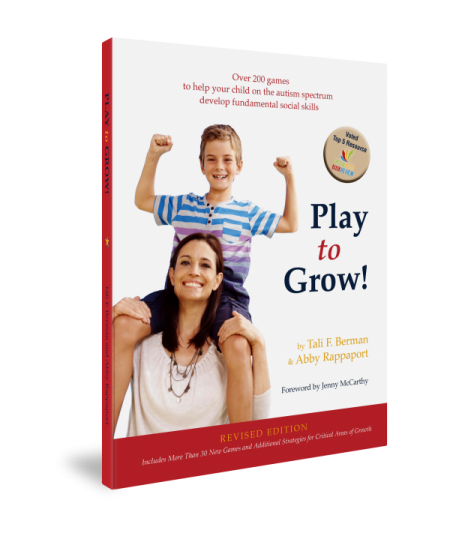 Over 200 Games to Help Your Special Child Develop Fundamental Social Skills” (with foreword by Jenny McCarthy), is now sold in 4 languages and has proven to be a valuable resource to families worldwide. 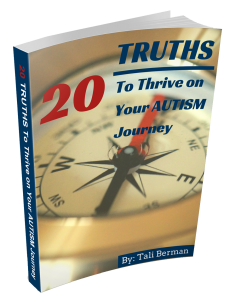 “Play to Grow” is an incredibly rich manual designed to promote meaningful social interaction and communication for children with autism or other developmental delays. The games are divided according to five stages of development and each game addresses a very specific goal within each stage. Plus, all of the games are based on common motivations so you can play games that your child will both love and grow from! 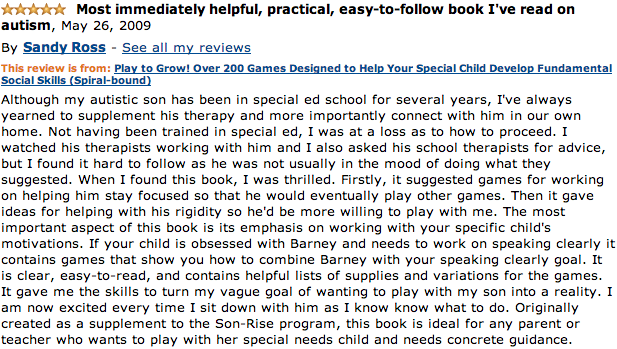 Check it out- “Play To Grow” is featured as the number one book by the Special Needs Book Review- what an honor!